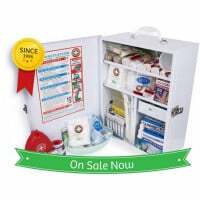 Our K1011 Portable First Aid Kit is a big two tray top of the range Paramedic size for serious user's. The K1011 Large First Responder First Aid Kit is for Infield use. An Excellent First Aid Kit to Cover the High Risk workplace. 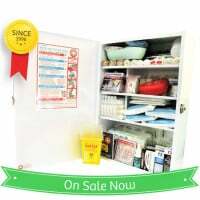 This is one of the top of range First Aid Kits on the market. Buy this kit and conduct the training to help save a life. - The First Aid room has minimum requirements set out in the Notational First Aid Code of Practice, 2012.